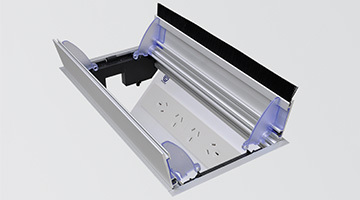 Fits OE Elsafe rails, power boxes and cable management systems. 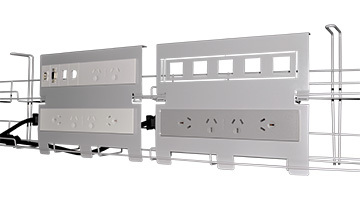 Data panels available to fit industry standard cutouts. 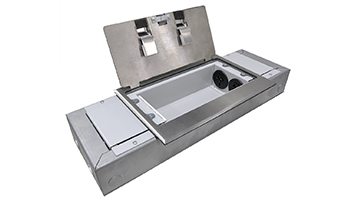 OE Elsafe can provide effective and stylish solutions for any of your data requirements. 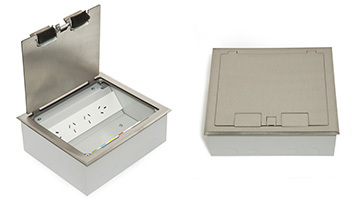 The unique QF5 data tile is designed to fit into all of the OE Elsafe products, from our extremely versatile floor boxes or rails to our ceiling boxes. 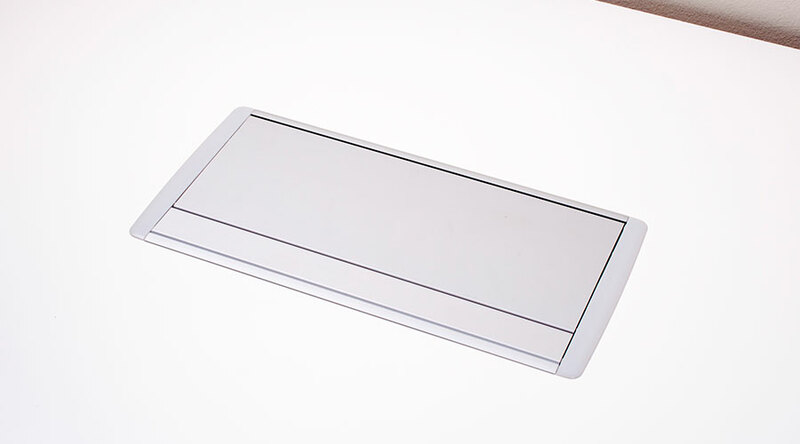 Also mountable directly into screens up to 3mm thick and using a Thick Panel Frame can be installed into panels from 3mm to 14mm thick. 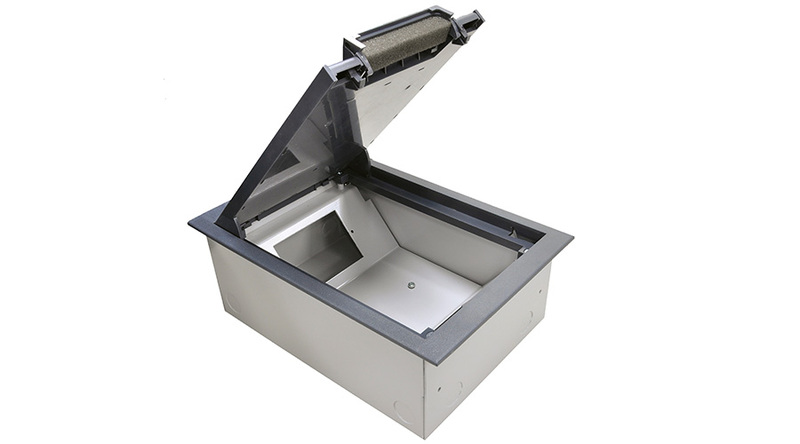 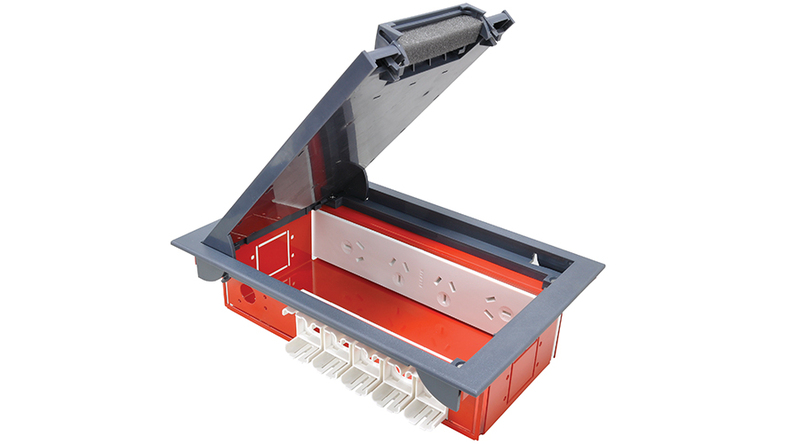 Once installed, the cleverly designed QF5 can be removed from the front to allow for easy replacement of the tile when reconfiguring the unit or to allow access to the back of the tile for termination. 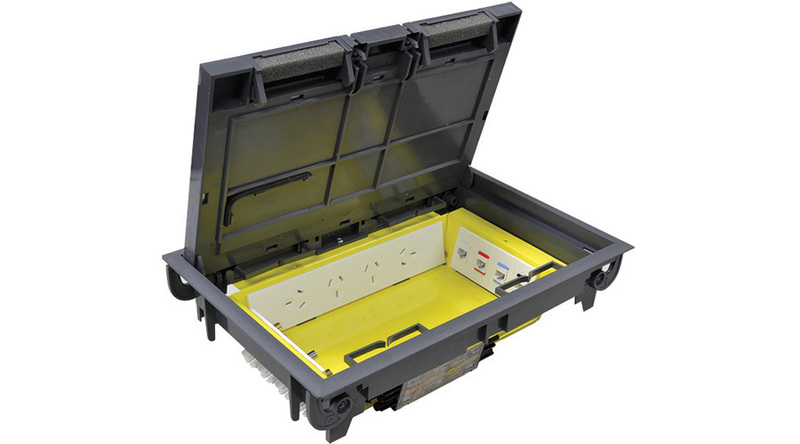 OE Elsafe can provide the data tiles with fully tested pre-terminated data leads in any brand you require (please refer to OE Elsafe Soft Wiring Data Brochure for further information) or alternatively the tiles can be provided with apertures to accommodate all brands of data jacks including Clipsal style (referred to as AUNZ data jacks) and Keystone style data jacks. 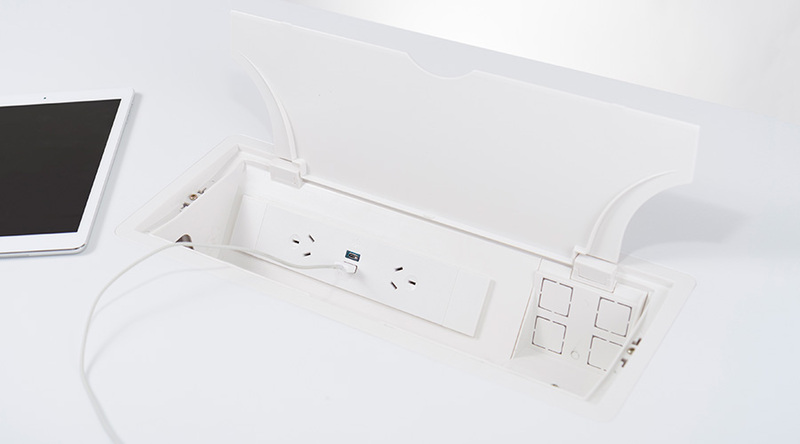 Blank tiles can also be provided to allow for any cutout you require. 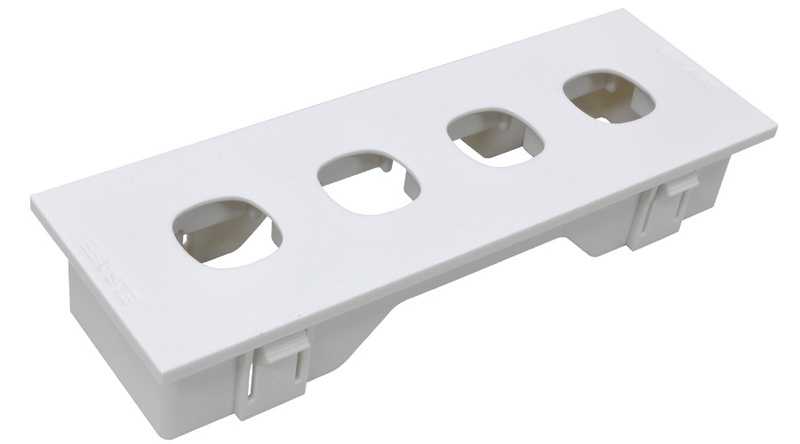 OE Elsafe can provide Keystone style adapters in eight different colours to work in conjunction with the Keystone Data tiles. 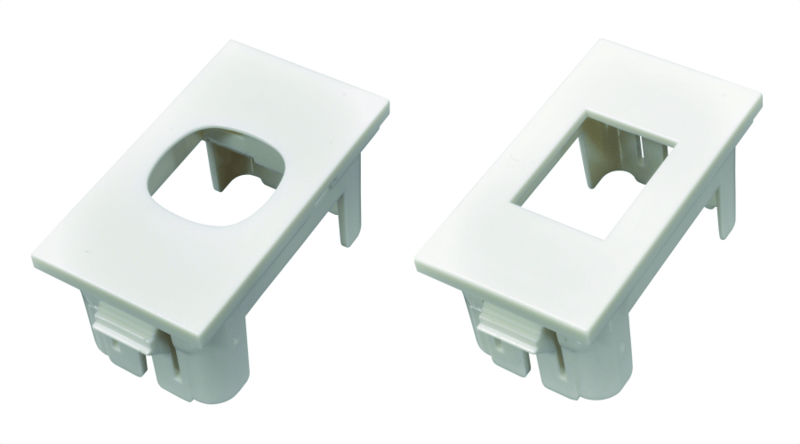 These colour coded data outlet markers allow for easy data cable identification as well as allowing for the face of the data jack to sit flush in the keystone cutout creating a stylish finish. 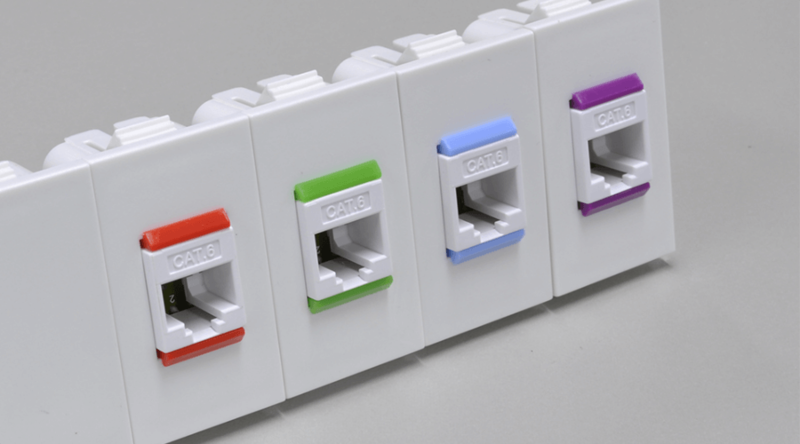 OE Elsafe can provide Keystone style adaptors in eight different colours to work in conjunction with the Keystone Data tiles. 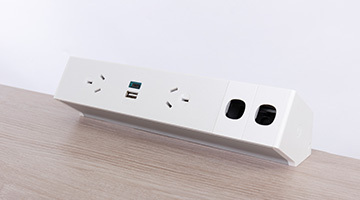 These colour coded data outlet markers allow for easy data cable identification as well as allowing for the face of the data jack to sit flush in the keystone cutout creating a stylish finish. 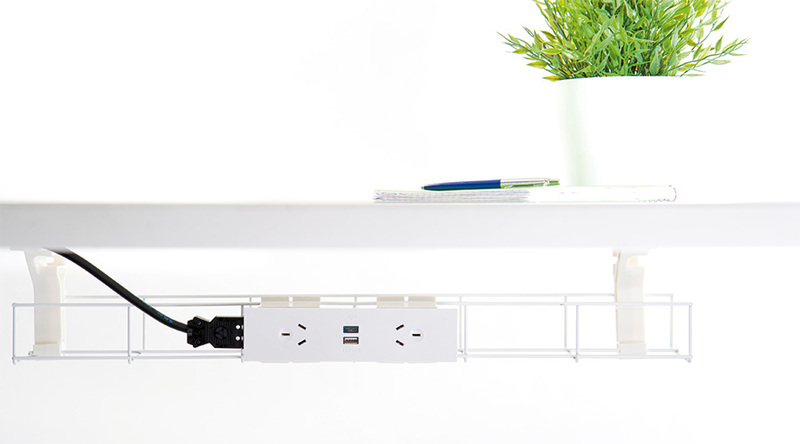 The open plan office is now the norm for the modern work environment all over the world. 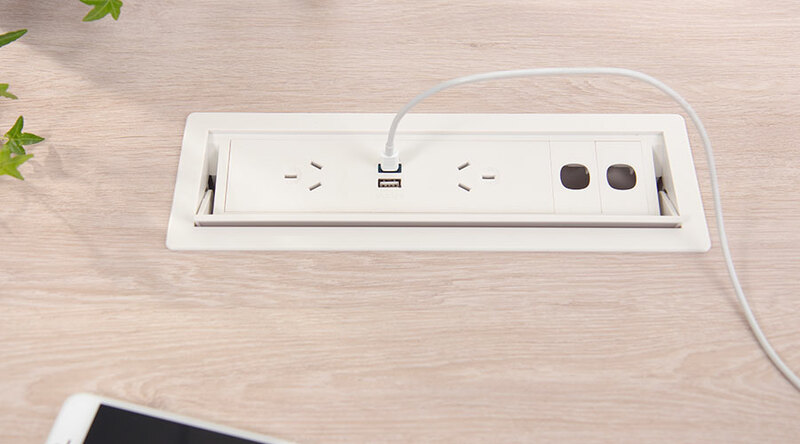 Workstations, hot-desking, conferencing and break out areas are all competing for the same space and the ability for the furniture and cabling infrastructure to adapt, to the changing needs of a business, quickly and at low cost is now paramount and the need for soft wiring has never been greater. 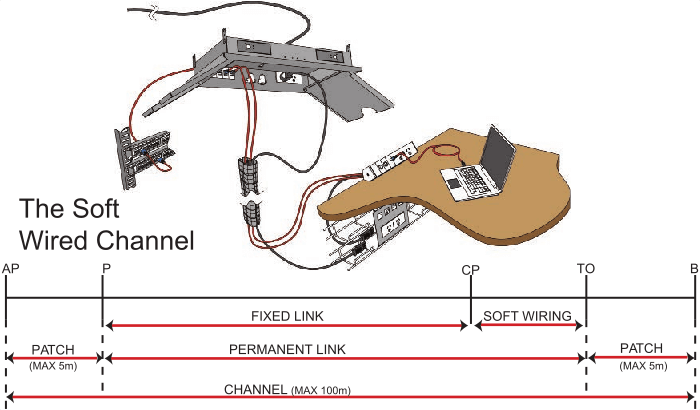 Data network cabling is not immune to this evolution, and, whilst transmission speeds are increasing (from CAT5e to CAT6, CAT6A and even CAT7), the ISO/IEC has set standards to ensure that network cabling manufacturers allow for a flexible architecture (see example and schematic below). 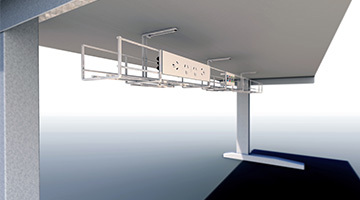 For an adaptable workspace, the most important part of the architecture is the Consolidation Point (CP) which provides a plug-and-play connection between the two sections of the Permanent Link. 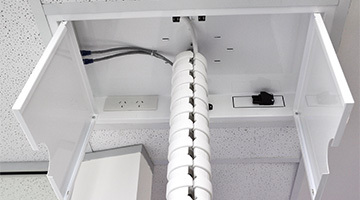 At OE Elsafe we have a wide range of power and data solutions that suit both floor-fed and ceiling-fed applications. 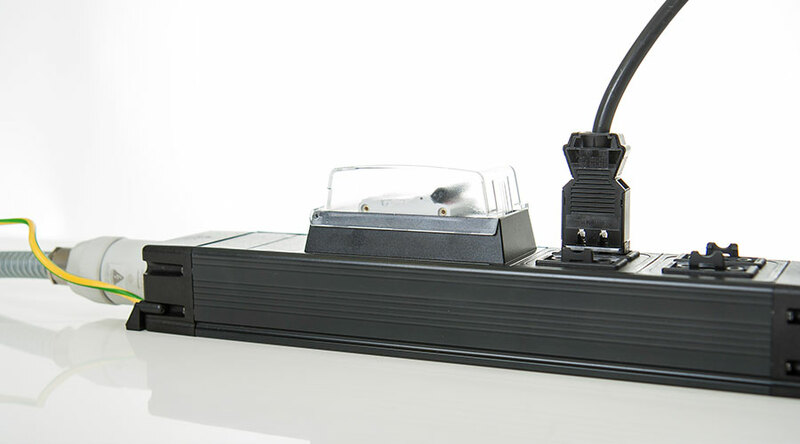 Our workstation, desk or table mounted accessories enable power and data points to be presented to the user in a single, easy to use and visually appealing package – the Terminal Outlet (TO). 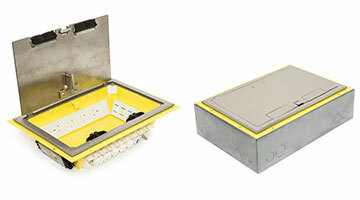 The connection between CP and TO has specific requirements and Elsafe is able to draw on 20 years of market leading experience in soft wired data from its parent company, OE Electrics (UK), providing an unrivalled family of products to suit any application, each of which has been primarily engineered around the electro-mechanical characteristics of the data cabling. 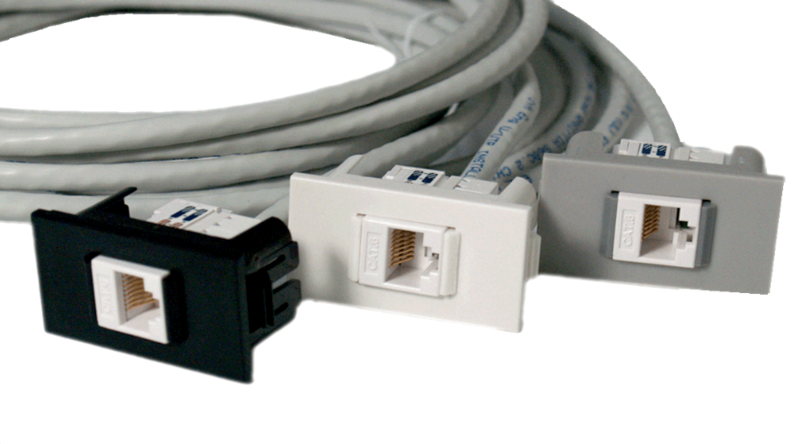 So strong is the desire to accommodate data in compliance with the standards, we have even developed adaptors where data manufacturers have no suitable alternative. 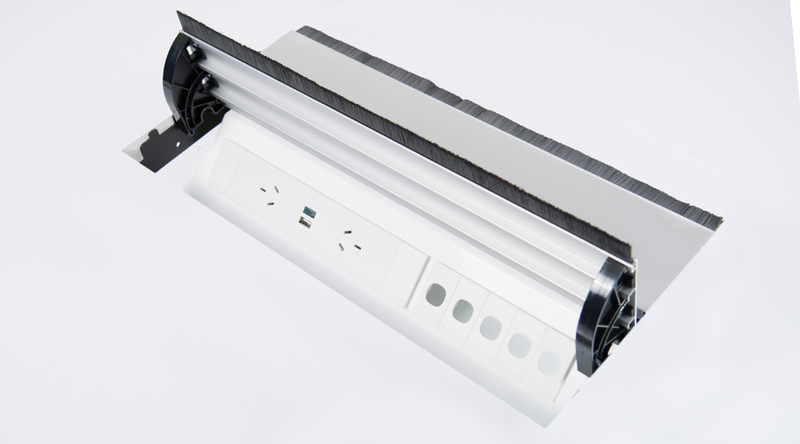 Options of factory installed data, whether generic (provided with OE Elsafe warranty) or branded (where ‘Channel’ warranties are expected) can simplify installation and reduce costs whilst at the same time improving quality through 100% end of line testing. 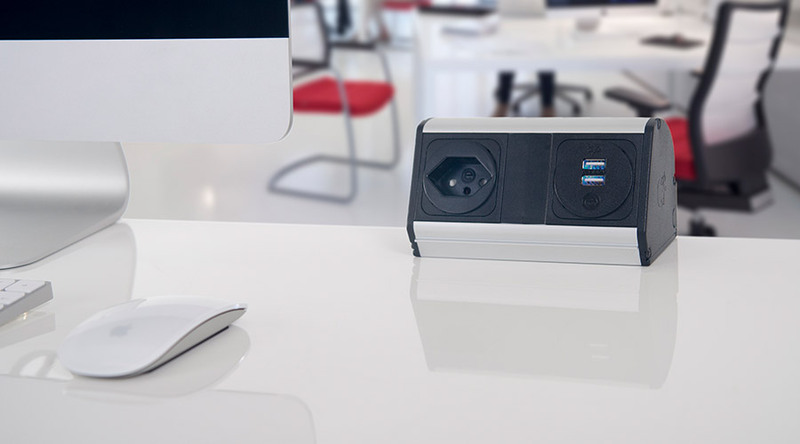 The key advantage of ending the Permanent Link with soft wiring is that it provides a modular, reconfigurable solution for work area changes – CHURN. 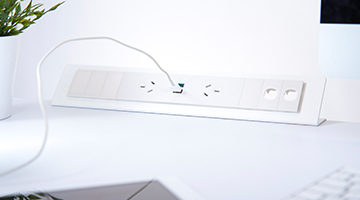 As the Horizontal Cable does not need to be re-run, the office layout can be altered cost effectively and with minimal down time, allowing business operations to continue virtually uninterrupted. 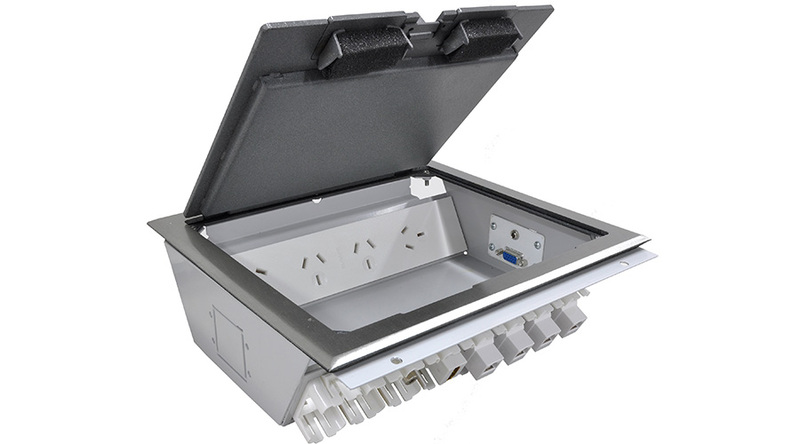 OE Elsafe desk solutions were all designed around the data cabling, taking into account branded socket depths and large bend radii requirements. 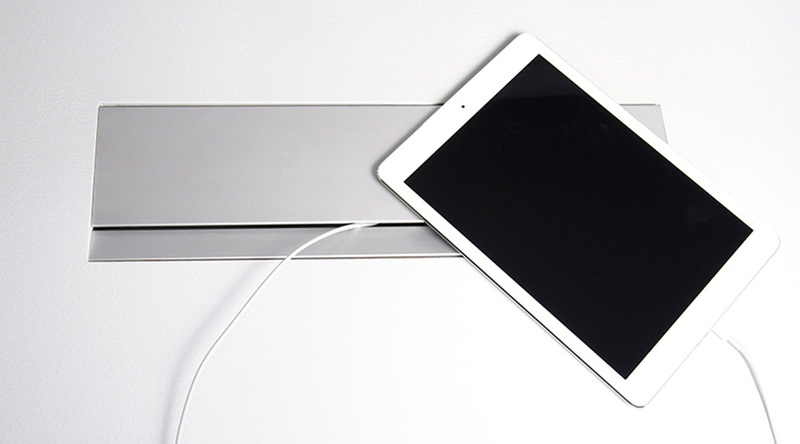 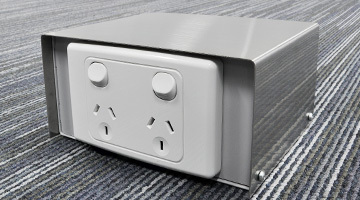 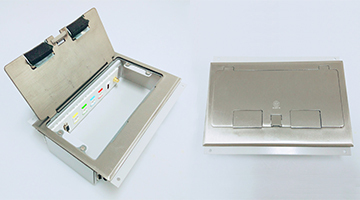 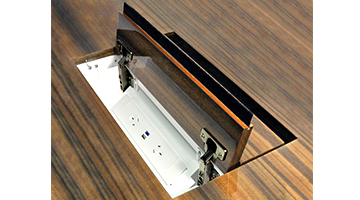 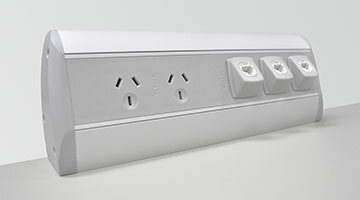 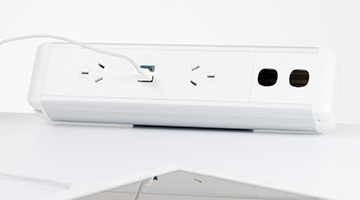 Our In-Desk solutions also ensure that data outlets are easily accessible to the user.